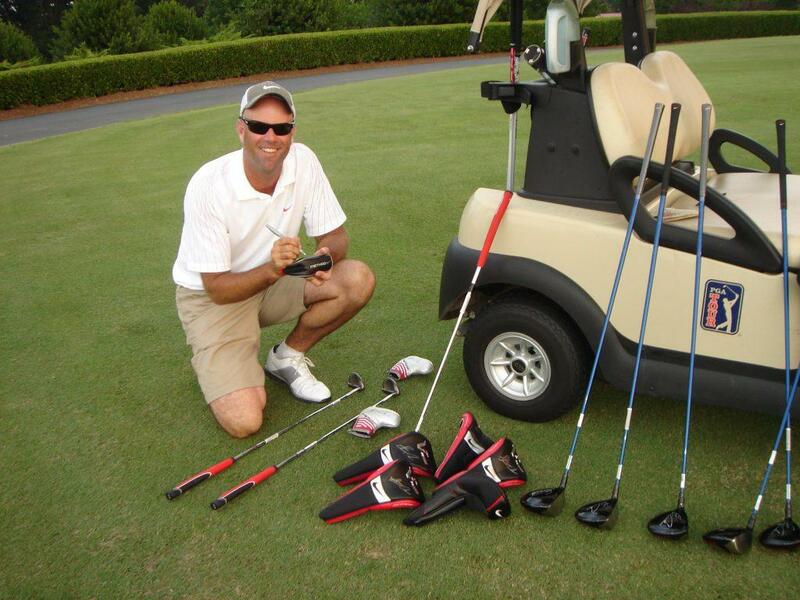 Happy Stewart Cink signing Nike equipment for GameBook at the TPC Sugarloaf, 2011. This years Ryder Cup is approaching and that brings my friend and Georgia Tech golf team mate Stewart Cink into my mind. As you might know Stewart is a 5-time Ryder Cup player and the 2009 British Open Champion, in other words, he already has an amazing golf career. I am privileged to know him, one of the world’s best golfers. And I do have much to learn from him. I though that sharing the story about our friendship might be interesting for some of you. Behind the star player, there’s a man with big heart. It all started at Georgia Tech in the early 90’s. Stewart and I played together on the Georgia Tech golf team between 1992-95 and graduated in June ’95 with his wife Lisa. We were quite successful and achieved, for example, two ACC Championships (Atlantic Coast Conference) and runners-up in the 1993 NCAA Championship with David Duval on the team as well. Enjoyed that time enormously! Life took its paths for both of us, and then back in 2007 when I was building a golf startup, GameBook, with my friends, our paths joined again. Stewart joined the GameBook Team and has been our advisor and ambassador since then. Stewart has also given valuable input in the GameBook Research & Development with passion, and it was put to a test e.g. during our pilot program in 2008 in South Carolina and final event at Chateau Elan Resort in Georgia. We received a great feedback for the further improvements and also got new ideas from him. Very valuable indeed. In March 2010, we organized a GameBook Media Invitational which was hosted by Stewart Cink in Orlando. The work continued with him, and the feedback was again very good. I met Stewart very recently at The Open Championship 2012 in Royal Lytham & St Annes in the UK, and wrote about the tournament journey, and about the future of golf. You can read the story here. Cink has long been one of the more likeable guys on the Tour, in part because of his honesty. On the 30th of July Golf GameBook Cup 2012 starts, and Stewart Cink will the Captain for the Team USA. I am very proud that he was willing to join this exciting tournament. Finally, I will continue to follow and support my friend. He is right now making some swing changes, although not at his very best during last few years, I’m convinced that he will still be in contention soon! I wish him all the luck in golf, and starting next week, as the Captain in the Golf GameBook Cup. It is open to all golfers in the USA and in European countries. The captain for the Team Europe is Johan Edfors, European Tour player. Here below nice old pictures I found from the Georgia Tech golf team time! On the top: ACC (Atlantic Coast Conference) tournament after talk (1994), Mikko Rantanen expaining something to Stewart Cink, his wife Lisa Cink and to coach Puggy Blackmon. 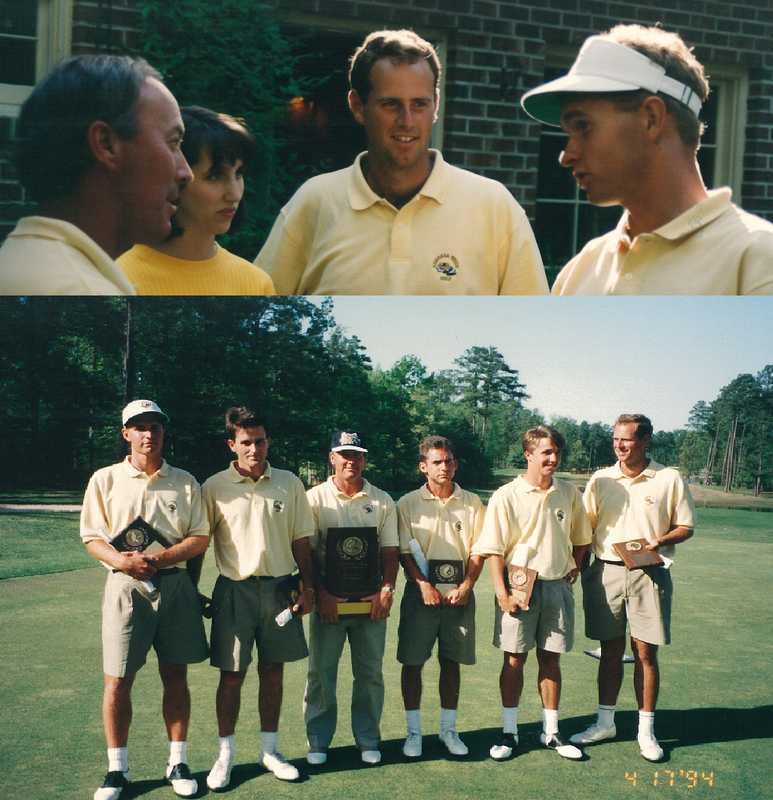 In the picture on the bottom: Georgia Tech ACC Champions 1994, The Team and Mikko Rantanen as Individual Champion. From left: Mikko Rantanen, Carlos Beautell, coach Puggy Blackmon, Brian Newton, Jason Walters, and Stewart Cink. Those were the times!